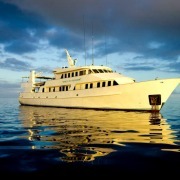 Founded in December 2002, Spirit of Freedom offers liveaboard dive cruising to Australia’s Great Barrier Reef and remote Coral Sea reefs. 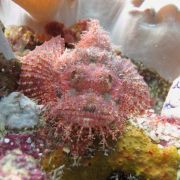 Scuba Dive Tours of 3, 4 and 7 day duration depart from Cairns to iconic dive sites such as the Cod Hole, Ribbon Reefs and North Horn, Osprey Reef. 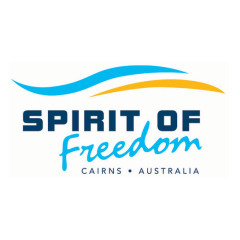 Voted Best Australian Liveaboard by readers of Australasia Dive Log (2012), Spirit of Freedom provides space, comfort and stability for cruising the Coral Sea. 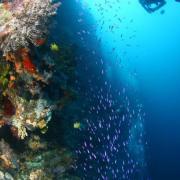 It is the only dive boat in Australia with a private bathroom in every cabin. 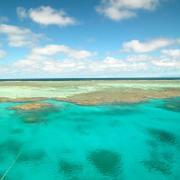 Spirit of Freedom has been awarded an Advanced Eco Tourism Accreditation by Ecotourism Australia. The program is endorsed by the Great Barrier Reef Marine Park Authority and identifies and monitors high standard marine tourism operators who follow best practices that are ecologically sustainable and help to protect and preserve the Marine Park to a high standard. The Company’s actions to reduce carbon emission have been recognised through the Climate Action Certification Program with TUSA Dive and Spirit of Freedom awarded Certification as Climate Action Innovators.